People who love what they do! Our philosophy has been to penetrate and conquer the new era of hospitality at national and international level, together with the highest quality and the most demanding service standards, that only you as a guest and diner can enjoy in our facilities. 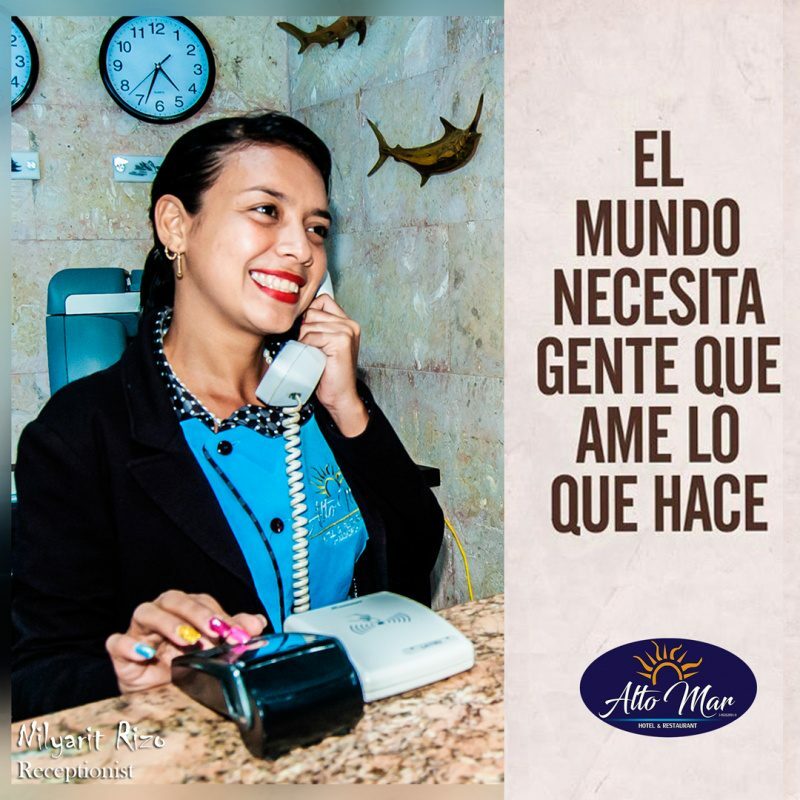 To be the Hotel, Convention Center and Restaurant of preference for the personalized service to our clients (internal and external) and reference for the business and tourism sector of the central coast, based on the philosophy People Who Love What You Do! Our goal is to make every visitor as comfortable and convenient as possible. Being a world-class tourism company, profitable and sustainable, committed to the well-being of the community and the environment, we distinguish ourselves by offering an experience of excellence and human quality, in the personalized satisfaction of the expectations of our clients, promoting With passion, teamwork to continuously expand and / or improve our service lines, rewarding our employees, customers, suppliers, shareholders and the community in general, the High Seas Experience! People who give customers much more than they expect. People who give the guest their best smile, listen carefully, always look into their eyes when they speak to him and call him by name. He always accompanies the guest to the destination he desires. Attends the telephone calls before the third ring, requesting previously the guest permission to leave it on hold, avoiding to transfer the calls. It is empowered to make the decisions at the moment to satisfy the needs of the guest. It uses the internal regulations in the execution of its functions, responds to the need that they pose and proudly reaffirms the quality of the service provided. Use the concepts of People Who Love What You Do! Every time a guest needs a service: Knowing how to recognize him, clearly understand his problem, satisfy his need and confirm that he was satisfied. Constantly uses communication with clients, to know their sensitivity and identify with him. It offers the guest his best image, correctly uses the uniform, his badge and takes care of all the details of his personal appearance. People who are willing to maintain multidisciplinary behavior. Know your role in emergency situations.